After reading and reviewing Once a Witch by the same author, I wanted to see how Tamsin’s adventures progressed. 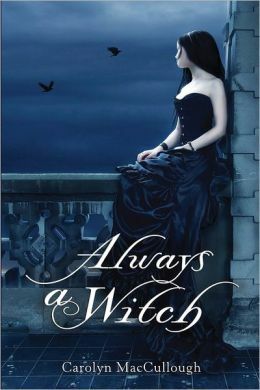 And, as an added bonus, the cover of Always a Witch is as shiny as its predecessor. Like the novel before it, Always a Witch is an easy read. In many ways, this sequel is more of the same: Witches, family drama, and time travel — and that’s a good thing! In this novel, Tamsin is first dealing with her sister Rowena’s impending wedding. Then, after Alistair Knight travels back in time, Tamsin must follow and is pitted against the Knight family in Victorian-era New York. She ends up disguised as a maid, “Agatha”, in the Knight mansion, a large and terrible stately home over which the evil matron, La Spider, presides. The gravity of her grandmother’s prophecy about a crucial decision Tamsin must make only comes to light near the end of the novel, when her family (the Greenes) and the Knight family engage in a Witch battle, complete with varied Talents and amazing magical displays. As in the first book, a Talent is a Witch’s ability to use magic. I had three primary qualms with Always a Witch. First, and most simply, it is presented completely in first person present tense. Writing the present tense is difficult, and reading present tense is even worse, at least for me. Your mileage may vary. Second, Tamsin is addressed as “Agatha” (since she’s in disguise) for most of the novel. In the first novel (and at the beginning of the sequel), Agatha is Tamsin’s best friend’s name, so when Tamsin goes back in time in this novel and chooses “Agatha” as her name-in-disguise, the characters and story become more convoluted than before. It’s not too much of an issue because in the present day, Agatha is Tamsin’s best friend; in the past, “Agatha” is Tamsin’s name; and the two don’t really overlap. While I realize a character like Tamsin would reach for the nearest possible choice while under duress, it was still kind of frustrating to have to consciously keep all the characters apart. It pulled me out of the story once or twice too often. Third, Alistair Knight literally assaults Tamsin at the beginning of the novel (at the end of the second chapter), and then no one ever mentions it again. It’s like nothing ever happened, and it put a sour taste in my mouth that I couldn’t really wash out. It might seem like nothing to someone reading Always a Witch because it happens so quickly and it’s glossed over, but I couldn’t help but think, “Honestly, was that really necessary?” I could go off on a rant about how assaulting a woman as a plot device is at worst poor writing and at best in poor taste, but I’ll settle for warning future readers who may be sensitive to such topics instead. Other characters from Once a Witch — Gabriel, Tamsin’s grandmother and mother, and others — reprise their roles as partially two-dimensional, though they really just encapsulate the story set in the Victorian era with present day bookends. Always a Witch held an interesting story, but it didn’t really need to be about Tamsin to be about the rest of the Greene-and-Knight-family feud. I like time travel stories, but in this case, it wasn’t wholly necessary; Victorian-era New York featuring La Spider was already self-contained, in my opinion.